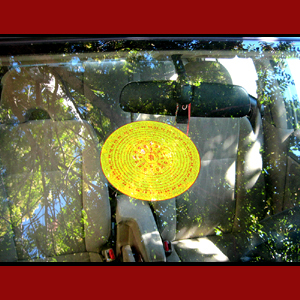 This easy off decal sticker contains the Namgyalma mantra wheel designed by Lama Zopa Rinpoche. 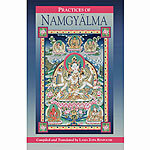 “The Namgyälma mantra is very powerful for purifying negative karma. 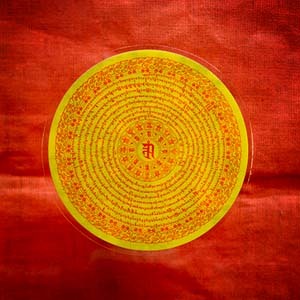 Anyone who sees or touches this Namgyälma mantra sticker will have their negative karma purified. Even if someone is touched by the shadow of the car or house that has this sticker on it, their negative karma is purified. If you have it in the house or on your car, then all the animals and people who come into contact with your house or car are blessed. 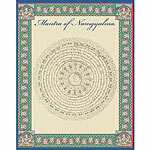 If you have the Namgyälma mantra above your house, for example on a banner prayer flag at the very top, then the negative karma of anyone who enters the house will be purified and they won’t be born in the lower realms. If this mantra is in your car, then the negative karma of any animal that touches the car – that is killed in an accident or run over, including extremely tiny ones that you can’t see – is completely purified. 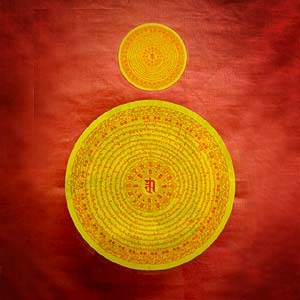 If this mantra is written on cloth or paper and placed on a mountain top or roof where the wind can blow it, whoever is touched by the wind receives blessings and their negative karma is purified. 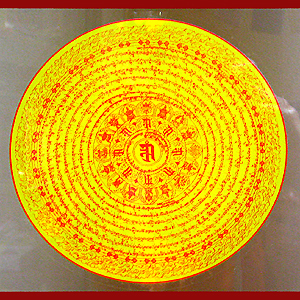 Circumambulating a stupa that contains this mantra purifies all the karma to be reborn in the hot hells. It is also excellent to put on the body of a person who is dying. This is one way that their negative karma can be purified. Click here for additional advice on an easy way to benefit animals. Attention: The surface of the glass must be clean and free from any residue that may be invisible. Make sure that the window has been cleaned with a window cleaning solution. The unprinted side needs to be against the glass and the printing is viewed through the glass. Watch Lama Zopa Rinpoche describe the benefits of the Namgyälma mantra.